I absolutely love the vintage aesthetic of the 50’s. I know it could be partly down to nostalgic re-imaginings of the era but if I could live in one other decade from the past, it would be this one. 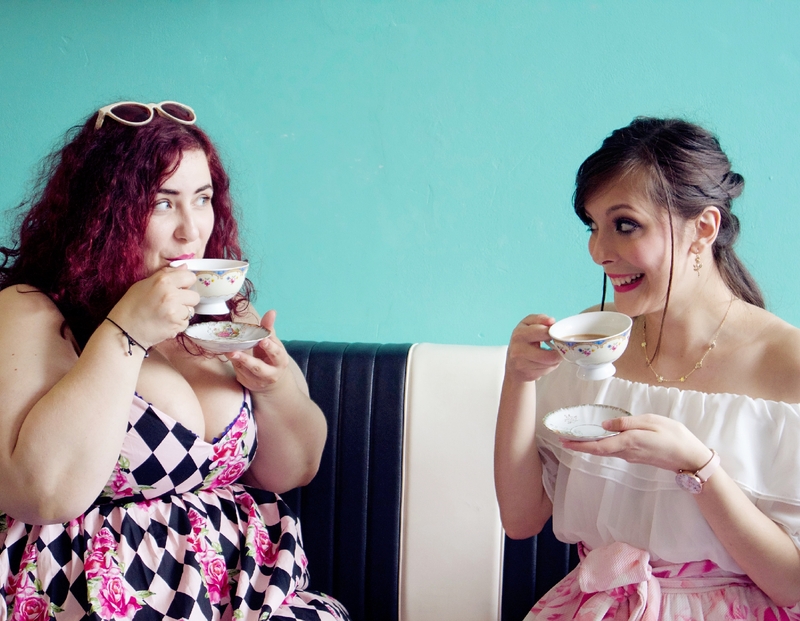 My friend Lizzie took me out for an afternoon tea as a belated birthday gift, to this gorgeous vintage salon with a 1950s look and it rekindled my love for the style! 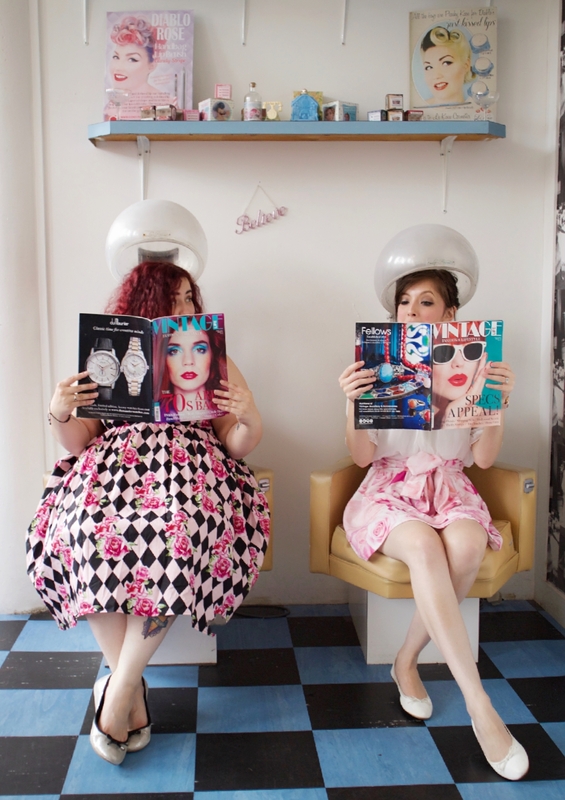 I want to seek out vintage fairs and more locations like Le Keux (the diner/salon we visited). Places that keep the 50’s spirit alive but are a little closer to home! We had a little ice-cream parlour in the city up until recently, but it closed down. (Coventry wasn’t ready… but I was.) Places like Le Keux are few and far between around the Midlands. There seem to be a lot more open-cinemas now, but I’d love to go to a traditional Drive-In movie. Of course for that I’d probably need a pick-up truck so I can lie down with blankets under the stars. I’m not really a car person generally but I can definitely get on board with a vintage vehicle. These cars have curves and they always make a statement! Seeing them in TV shows like Mad Men, and seeing them in Pin-Up photos with pretty ladies draped on the bonnets. Somehow it just makes me happy! 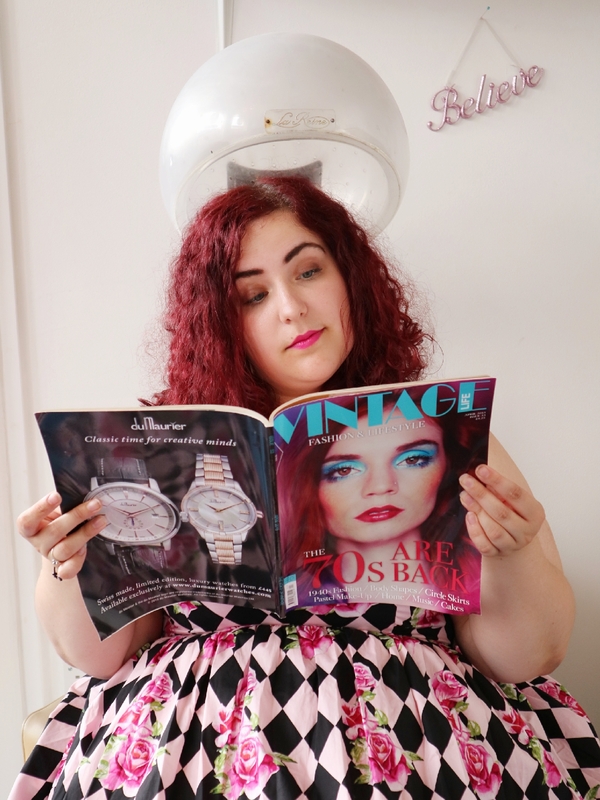 I absolutely love getting my hair done in vintage curls – the 1950s look is my favourite! My hair really lends itself to holding the styles too for some reason. I also love a good victory roll or 2! 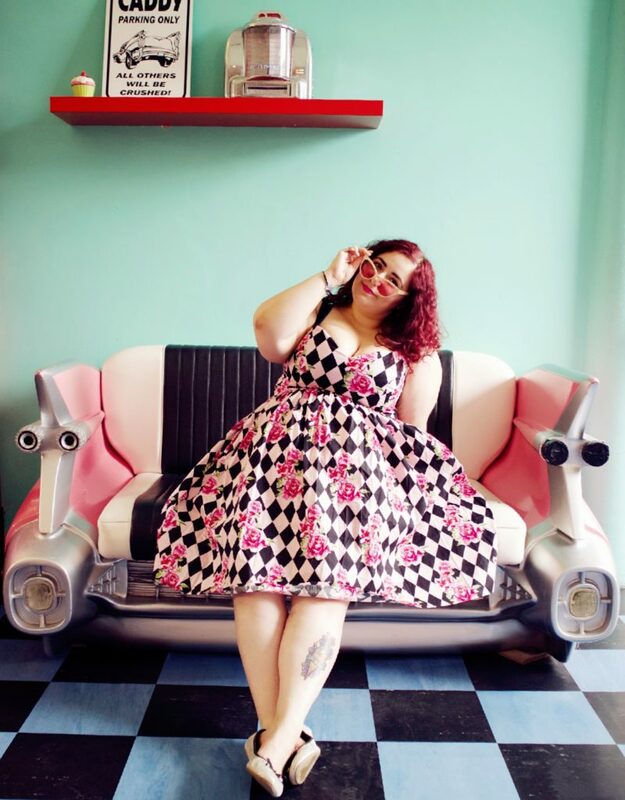 My favourite place for vintage hair in Coventry (and getting my hair done generally) is the Rock ‘n’ Roller parlour. Natalie is a fabulous lady who has a parlour in her lovely vintage caravan, Ruby! She’s helped me out many a time before a vintage fair and she’s absolutely wonderful! Speaking of swing dances… Swing dresses are my jam! I own about 20 and the most frustrating thing about them is I never have a chance to wear them! That’s why I took every opportunity on our lovely afternoon, to take a million photos! I am really happy with how these turned out – thank you so much to Lizzie for the photos! Which era would you choose to live in if you could go back in time? There are quite a few eras I feel I would suit me… I loved the 90’s and I was already technically present in them… But eek, I can’t say I am a fan of the clothes. No, I’ll stick to my coiffed curls, Cadillacs and candy colour dresses; for me it has to be the 50’s all the way. Another enjoyable post with delightful pictures… such acting skills. Even these types of posts, one’s that are perhaps a little different to your usual, are amazing because you write with such authenticity. It feels like you’re revealing another part of yourself that maybe isn’t obvious, and who doesn’t like to see hidden depths in their already favourite blogger? If I were to go back in time to live in an era, it’d probably be the Victorian era. But also, so I could start a real life steampunk movement using my clearly infinite knowledge of steam powered machinery and the fashion industry. I'm not sure whether I would go back to a different era. 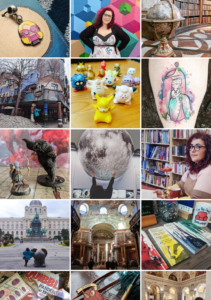 I don't feel like I fit in with any particular period of time xD But I think it would be cool to sample many different time periods to get a taste of them all!